A store dedicated to retro and vintage-inspired women’s clothing. 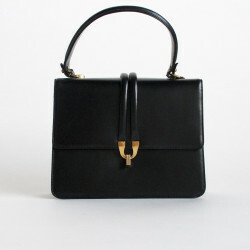 Vintage clothing, accessories and more! 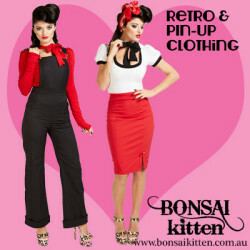 Now stocking genuine vintage, Bettie Page, Bernie Dexter, Sourpuss, Voodoo Vixen, Glamourflage, quirky jewellery, floral headbands. 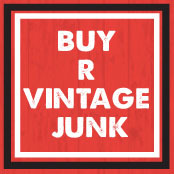 The finest hand picked & rare vintage clothing & housewares for men, women, & kids. Fun clothes for fun people - brought to you from the 70's, 80's, & 90s ! Vintage hats with class and style. Vintage boutique located in historic Saint Augustine, Florida. Their Nibs London is a vintage-inspired luxury childrenswear brand, born in London's Notting Hill district and known for distinctive retro silhouettes paired with unique hand-designed prints. 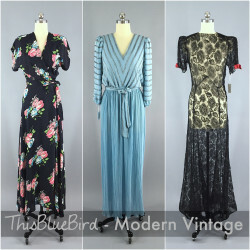 Carefully hunted and gathered vintage women's clothing primarily from the 60s through the 80s! Tigerlily Vintage is know particularly for their fantastic collection of footwear (always over 150 pairs in stock), and in the summers post one of the most fabulous collections of vintage swimwear found in one spot online. The owner, Elle, stocks the shop with the things she particularly adores; anything crocheted, supple leathers, embroidered Mexican dresses, bold patterns and babydoll dresses. Tigerlily Vintage has been in the vintage business for seven years, first on Ebay and now on Etsy. Established in 2006, Tin Roof Vintage features a carefully curated selection of rare, top-shelf and designer vintage clothing consistent with today’s trends. Trish Hunter, A Melbourne Lady, living & loving the vintage life. My partner & I own the shop Hunter & Co. Vintage. I blog daily about quirky collectables and collections, outings, my vintage outfits, and of course my fabulous dog Betty, my vintage store and all things in between.